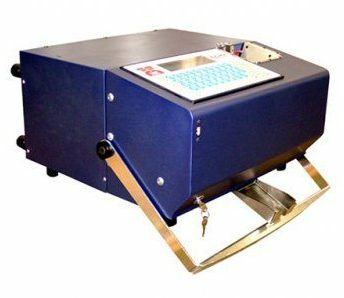 The MDT Series dog tag embossers are the most reliable, easy to use, fully automatic dog tag and medical alert tag embossers in the market. The latest MDT500 HE all-in-one integrated unit comes with removable hoppers and a host of other features not found in other dog tag machines. It also embosses stainless steel plates of 2.25″ x 1.25″. Easily create jobs away from the machine from a CSV file loaded on a USB flash drive. Optional Blade software is available. Light weight – ONLY 50 lbs. with a sturdy case and easy to carry built in handle. The unit is truly portable. The fully automatic MDT500HE has been designed as the ideal, no hassle dog tag machine for low to medium tag volumes. The machine will personalize up to 135 dog/medical alert tags per hour. Designed and built by the #1 supplier to the US Military with quality materials to ensure years of trouble free service.